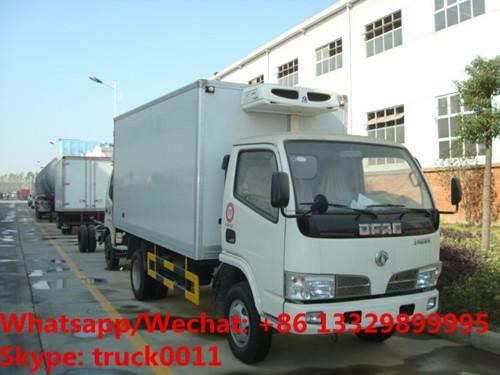 More pictures of dongfeng tianjin 190hp 10tons cold room truck manufactured by Chengli Special Automobile Co., Ltd. as below. 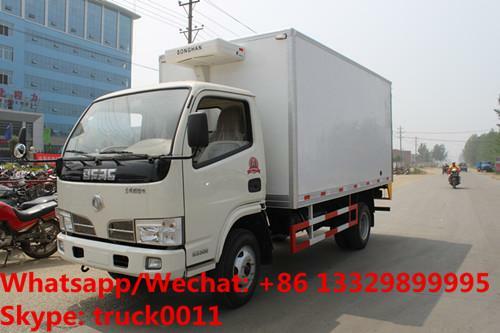 If you're interested in our refrigerated van truck, please send email to szhj9999@163.com or talk to Anita by Whatsapp/Wechat: +86 13329899995.
main technical parameters of CLW Brand 7.4m length refrigerated truck manufactured by Chengli Special Automobile Co., Ltd. as below. Box Side Exterior and interior with FRP( fiber reinforced plastic), and the middle with 80mm PU slices with vacuum negative pressure one-formed casting as the insulation layer, approved the related Ministry of Health of food grade requirements, etc. just like sandwich structure. Box Floor Baseboard adopts aluminum alloy anti-skipping diamond board, which assuring the insulation ability and the compact resistance of the baseboard. Frame of standard rear double doors adopts the stainless steel structure frame with light mass and perfect corrosive resistance, etc. The door edgings frames are sealed with the imported high quality epdm rubber, making sure the van insulation stability. Door edgings, door locks and accessories use stainless steel materials. Refrigerator Unit Reefer Choose high quality China-made or USA brand CARRIER/THERMO KING reefer upon request. And the teperature can be adjusted from -18 degree to zero at the driver cab. Heating system Can be installed upon request. 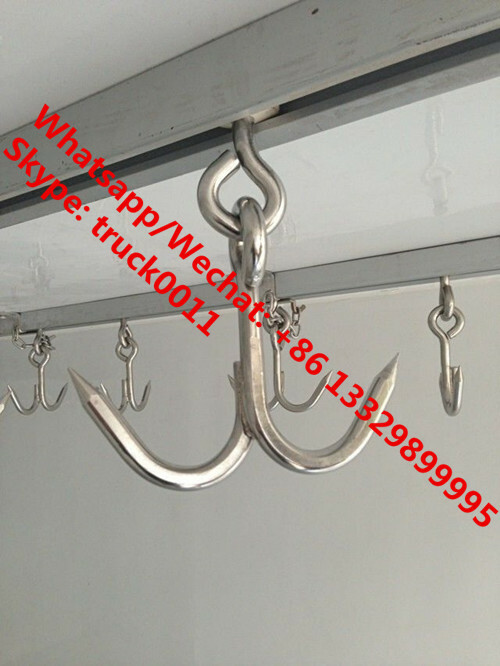 The refrigerated trucks can choose to install meat hangers (double sides meat hangers), and also choose to fix vent slots if needed. 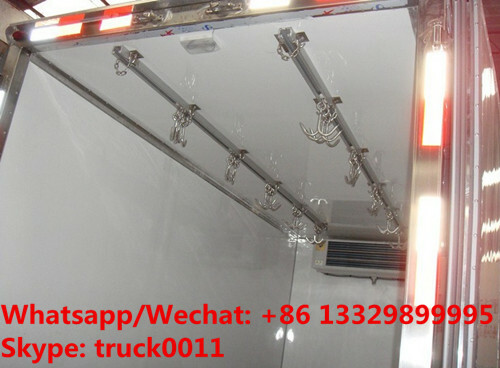 And the refrigerated truck can choose stainless steel foldable shelf, etc. Chengli Special Automobile Co., Ltd manufactures refrigerator trucks since 2004s in China. With so many years’ experience in manufacturing, we Chengli Special Automobile Co. Ltd could manufacture and sell vaccine delivery vehicle, meat hook refrigerated truck, fruit and vegetables refrigerated truck, milk food transport refrigerator truck, insulation van truck, van refrigerated truck, freezer minibus, small refrigerated truck, medium freezer van truck, big refrigerated truck, refrigerator semi-trailer, freezer refrigerated vehicles, dongfeng brand cold room truck, ISUZU brand refrigerated truck, FAW refrigerated truck, FOTON refrigerated truck, Chang’an freezer van truck, Yuejin refrigerated truck, JMC refrigerated truck, CMAC refrigerator truck, Aoling refrigerated truck, the smallest refrigerated truck, etc. More information, please feel free to contact with Ms. Anita. The hot sale line is 0086 13886878855.